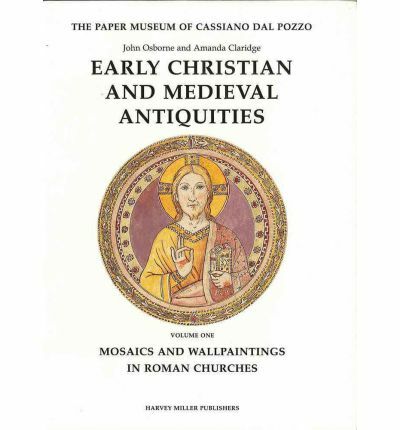 This collection of drawings and watercolours of the mosaics and wallpaintings of early medieval churches in Rome forms an important part of the paper Museum, since it sheds much light on the nature and scope of antiquarianism in Italy at the time of the Counter-Reformation. The drawings and watercolours catalogued and illustrated here are all in the Royal Collection, Windsor Castle, and are mostly by the artist Antonio Eclissi. The reproductions are generally in full colour, and frequently accompanied by illustrations showing the actual decoration in situ. The introductory essays outline the important phases of Cassiano dal Pozzo's career, discuss the history and significance of the 'Paper Museum', and explore the Christian tradition in seventeeth-century Rome. The Catalogue Raisonnee analyses each drawing in the greatest detail. This volume, the first to appear in the series, will be of special interest to archaeologists and medievalists engaged in the study of Rome's Early Christian churches, since many of the buildings, mosaics and paintings are now no longer extant.